Often times I get phone calls from clients who are seriously injured, but due to their injuries, they cannot make it to my Woodbridge office location. 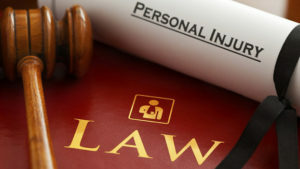 It is obviously understandable when you have been injured and cannot make it to Woodbridge so I will always do what I can do to accommodate my clients to ensure that we can begin your case. In those cases, I will make every effort to visit you in your home or hospital room in order to assist you with the beginning of your case so we can move forward as quickly as possible. There are some situations in which, depending on your injury, you only have a short amount of time to file certain paperwork with the state, therefore, I want to make sure that you do not miss those deadlines so you can have a successful case. For example, if you need to file for temporary disability insurance through the State of New Jersey, you only have 30 days to do so. It is important to me that you receive the compensation you deserve for the pain and suffering you have been put through as a result of your injuries and therefore, I want to do what I can to assist you in your case.